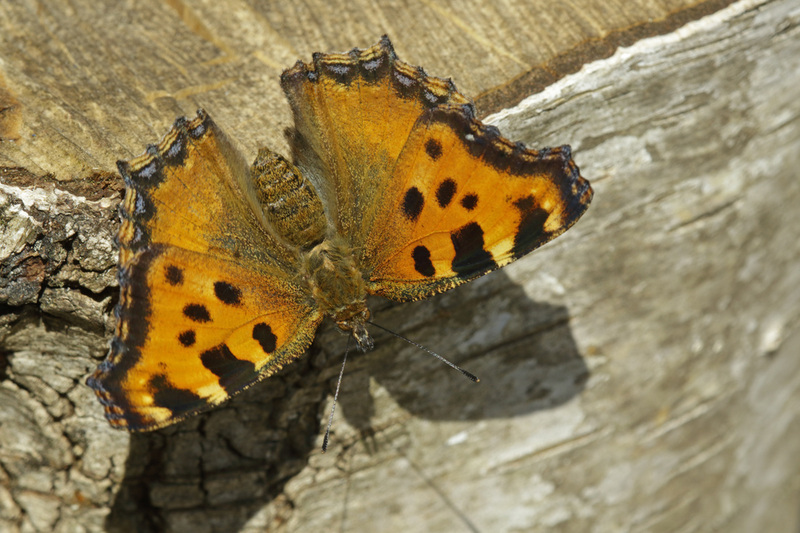 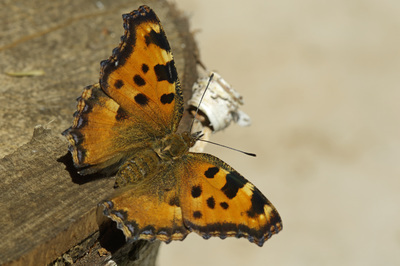 The ground colour of the upperside is orange with black spots and dark borders. The border of the hindwing ontains a row of blue spots and rarely some spots on the forewing. 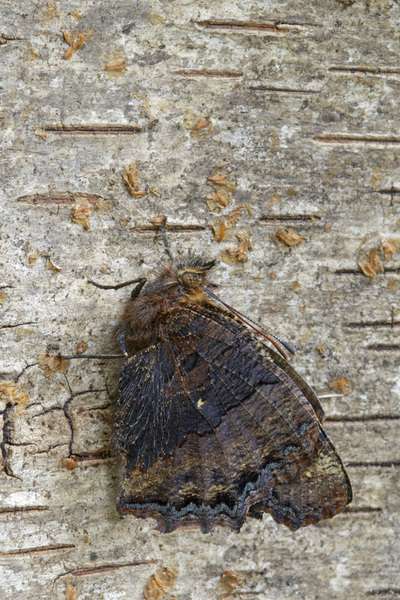 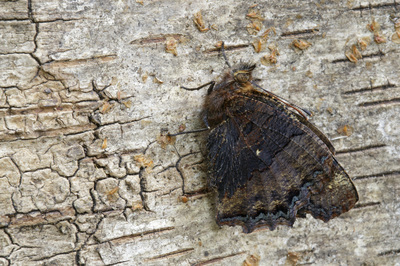 The underside is mottled dark brown with a faint greyish-blue band around the edge of each wing. 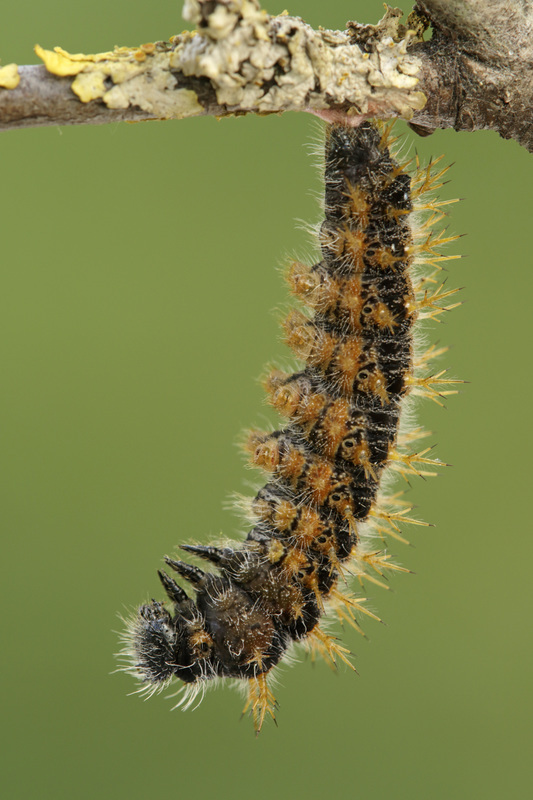 The legs and palps are clothed with dark brown or black hair. 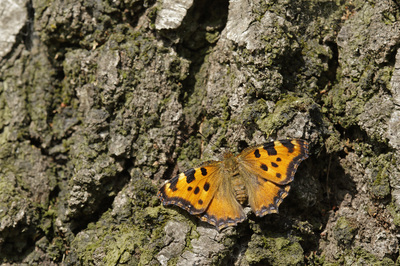 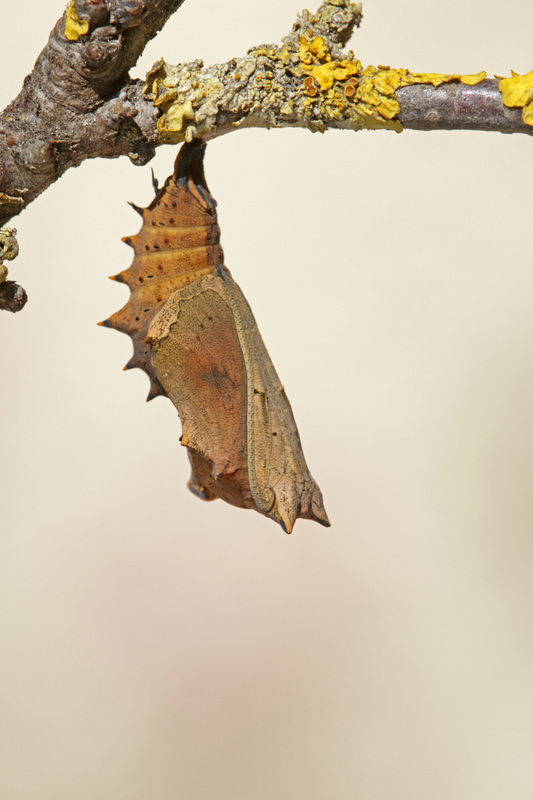 Flight from June to September and again in spring after hibernation. 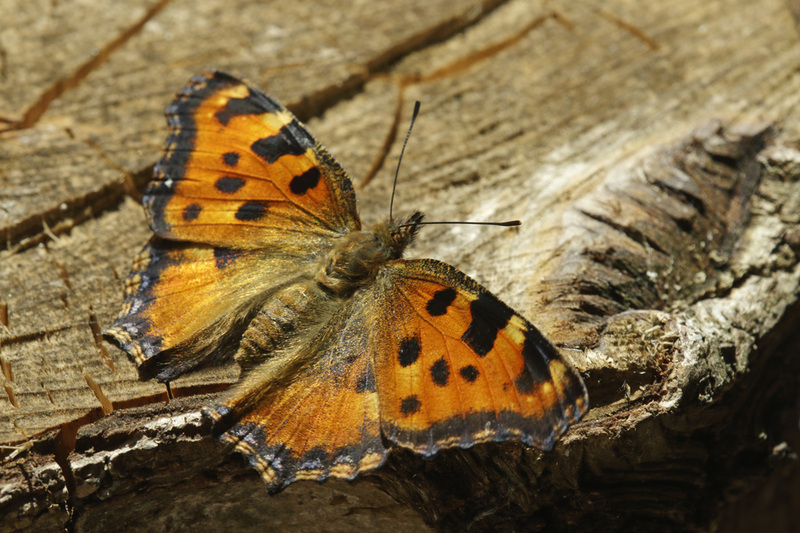 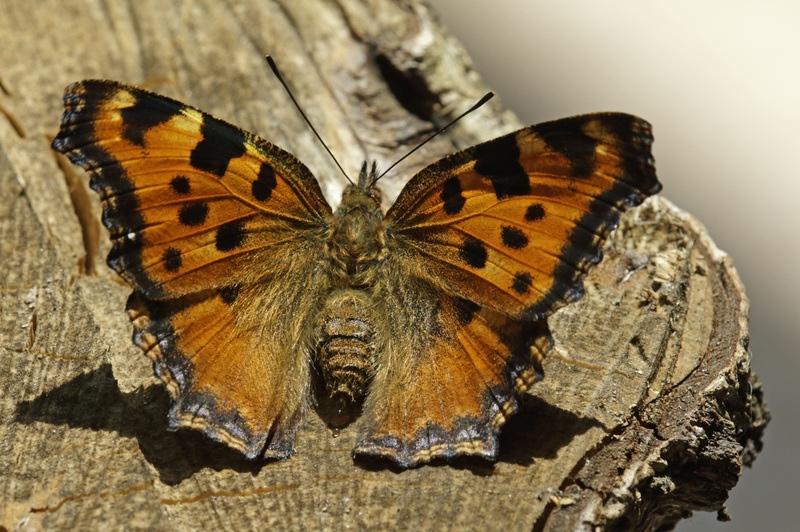 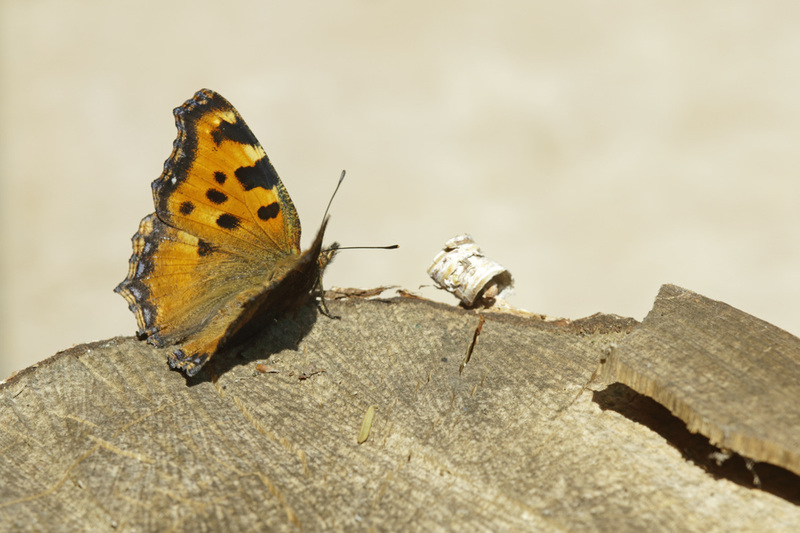 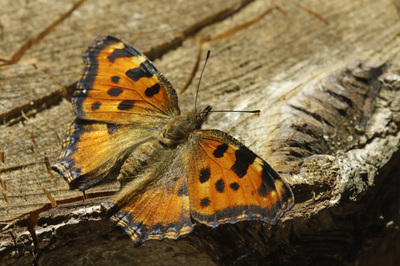 The Large Tortoiseshell has a fast and strong flight but can also be often found basking in the sunshine on walls and tree-trunks. 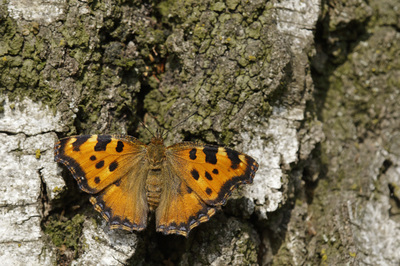 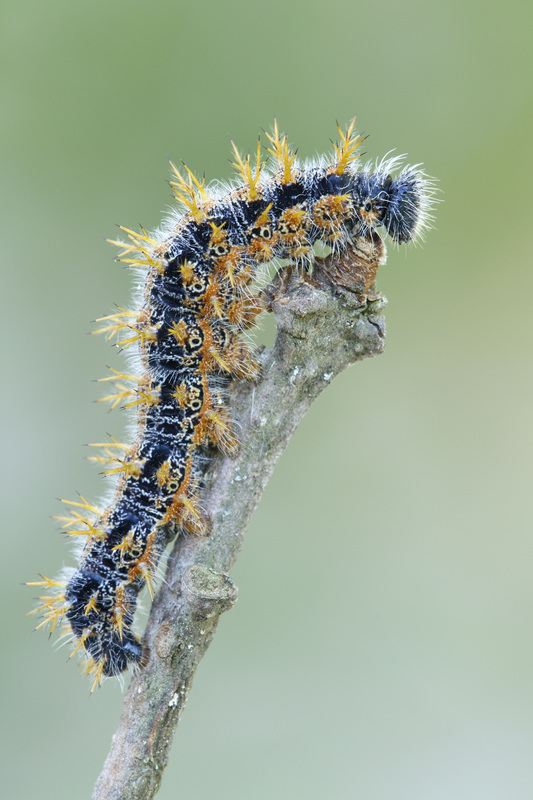 The main larval foodplants are elms, sallows and poplars.